Consolidate Payment Vendors Each vendor relationship costs time and money. It’s usually more cost effective to use a full service payment processing provider who can process all payment types, including credit cards, debit cards, ACH payments, check services and gift/loyalty cards. Addition time and money can be saved when the credit card processing company is using all available methods through point of sale (POS), web, phone, mobile and check scanners. Maximize your Sales Channels Close the sale quickly by being accessible in each place your customers may want to buy from—over the phone, on the web, at a trade-show, or out in the field. Forcing customers to call or physically go into your business to complete a sale greatly reduces sales opportunities. In this situation, mobile payment solutions can help you maximize sales with numerous convenient payment processing options. Accepting Credit Cards Customers buy from stores and vendors that they feel the most comfortable with. Asking your customer not to use a credit card might make you lose out on future sales. Additionally, if you are a business-to-business (B2B) shop, being credit card friendly can position your business as the first alternative when your competitor is out of inventory. Therefore, it is crucial to begin accepting credit cards with your payment processing. 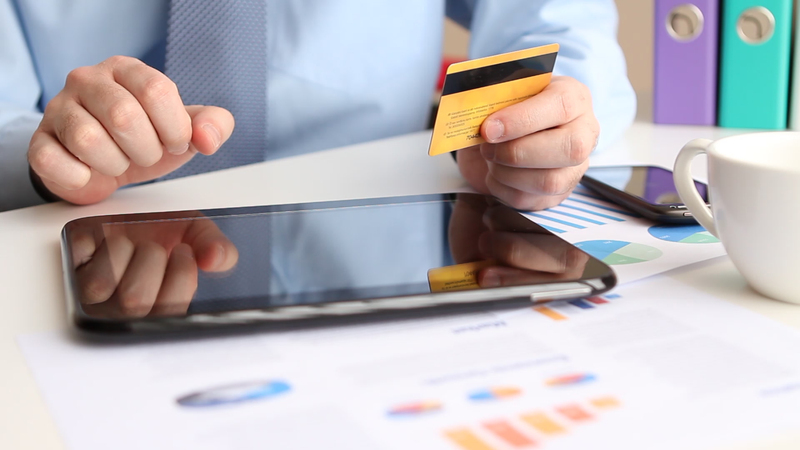 Integrate Payment Data with your QuickBooks merchant services The best practice for your business is to integrate your payment information with your accounting software. Not only will this eliminate the inaccuracy of manual data entry, but it will reduce your days sales outstanding (DSO) and enhance your audit and compliance positions. Have a Mobile Payment Processing Solution Mobile payment infrastructure and technology is currently available for any business. Have you begun accepting mobile payments yet? Mobile payments are more than just scanning an iPhone in place of a traditional credit card. Mobile payments are also about delivering information and building loyalty through an array of mobile applications and devices that your customers can benefit from. Have a Check Payment Strategy As e-payments continue to replace more and more traditional checks, don’t lose sight of the potential for increased fraudulent check exposure. Converting paper checks electronically to ACH, as well as checks by phone and the web, greatly increase cash flow and mitigate losses. Choose a Tech-Savvy and Stable Payment Processor Due to product complexities and increased demands for constant infrastructure and security advancements, payment processing has shifted from being operated by banks to being owned and operated by business software companies. Select a tech-savvy and financially stable payment processor that can meet your business’ unique needs in a safe and secure environment. PCI Compliance Payment Card Industry (PCI) compliance is a requirement of all businesses that interact with credit or debit cards. PCI compliance ensures that you’re up-to-date on the best practices to protect your business and customers from payment fraud. Use payment security software that scans your information and alerts you to potential security leaks. Use a Payment Processor that supports E2EE Technology End to End Encryption (E2EE) starts with your payment capture devices, and goes all the way to the transaction being authorized. E2EE prevents the card account data from being stolen electronically and lessens the cost and impact for your business to become PCI compliant. Understand Cost vs. Product and Service Selecting low-cost payment processing can often come at the expense of limited product functionality, potential security holes, and lower levels of customer service. In today’s competitive environment, take the time to study the best practices of your competitors and understand how your payment system touches your customer and your back-office operations. Look for the payment processing that provides the best customer service, is PCI compliant, and provides you with the lowest possible rate.